Mile End’s a great place to be a student - that’s why there are 15,000 of them over the road at QMUL! You can enjoy a variety of restaurants and bars, stroll along the canal and round Victoria Park, enjoy a film or take a trip down to the riverside. If you feel like a change of scene, central London and its trendy east are just minutes away - but with some of the city’s best facilities right here in your building, you may decide just to stay at home and enjoy everything Scape Mile End has to offer. Many of Scape Mile End’s residents are students at Queen Mary University of London, which can be found just across the road. 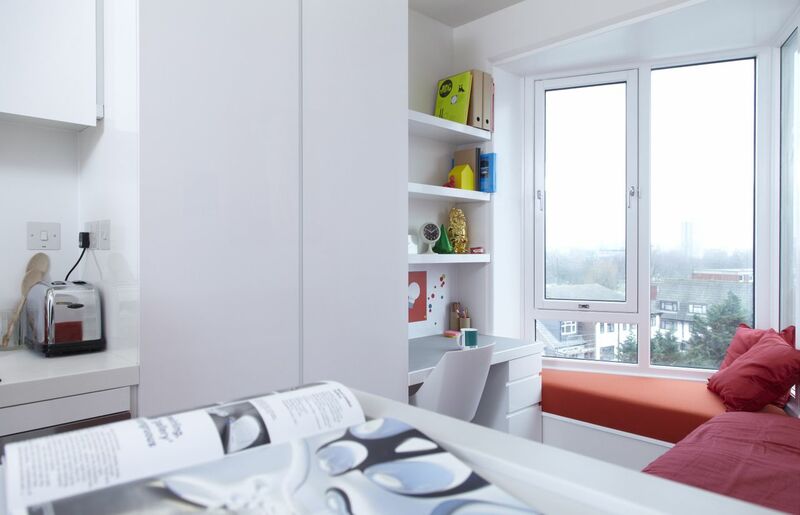 This may be the only non-campus residence in London that lets you live less than a minute from your classes! Of course, non-QMUL students are also welcome, and several of London’s top universities are a short journey away - LSE and UCL are both a single Tube ride from Scape Mile End, while you can reach City university by train or bus. Back at home, your room is fully equipped for comfortable canalside living. 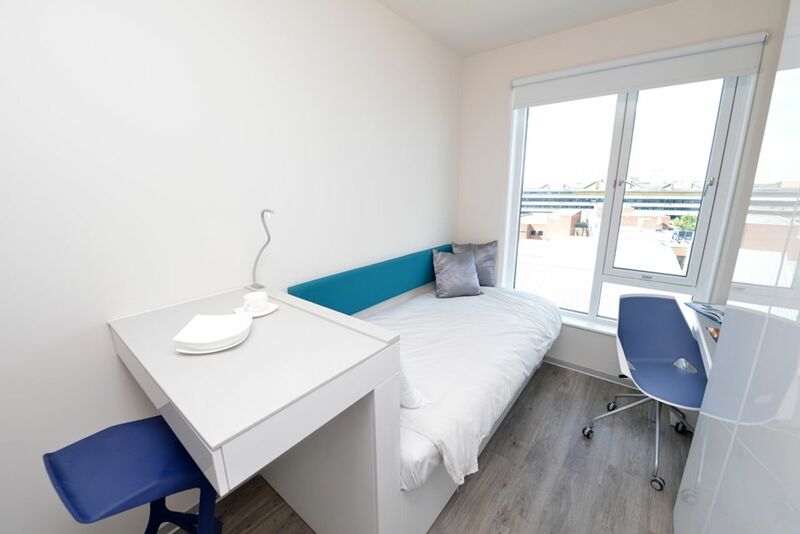 Every student living at Scape Mile End has an amazingly designed studio flat, complete with ensuite and kitchenette (as well as some great extras like recessed lighting, hidden storage and heated towel rails). Each studio has been individually decorated, with clean lines and bursts of colour that are echoed throughout the building, from the lobby to the onsite gym. As a purpose-built development that also caters to the wider student population, Scape Mile End is unusually well-equipped. As well as your mini-kitchen, you’ll find two restaurants on the ground floor - drop by Box Noodle for some quick and tasty pan-Asian food, or head to The Kitchen for homemade comfort classics. If you want to cook with friends, a communal kitchen with widescreen TV is available; or you can just let off some steam playing pool or table tennis. This might all sound a bit hectic, but don’t worry - all residents agree to keep it down after 11pm. If you run into any problems, you can talk to the 24 hour support and maintenance staff, who’ll be on hand whether you need a new lightbulb or a great suggestion for dinner. Wir haben leider keine Unterkunft gefunden, die deinen Wünschen entspricht.Alle Ganze Wohnung in Scape Mile End ansehen. Past this, you are responsible for finding a suitable replacement (a student not already living at Scape, who is attending a full time course in London/Surrey). Until a suitable replacement is found you are liable for the rent owed, and once you' ve found a replacement you will have to pay up to a ?250 admin fee.